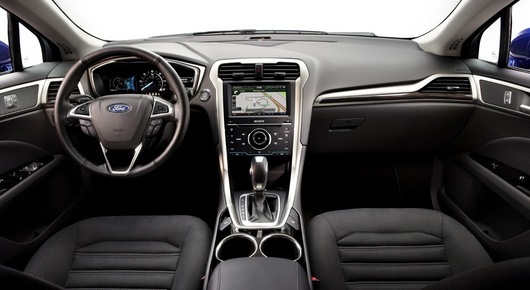 drivingandlife: Ford Australia's New Falcon? I believe you are looking at the NEXT FALCON. These are press release photos of the 2013 Ford Fusion, revealed at this years North American International Motor Show in January. Given Ford Australia’s rapidy dwindling Falcon sales (even with a 4-cylinder model! 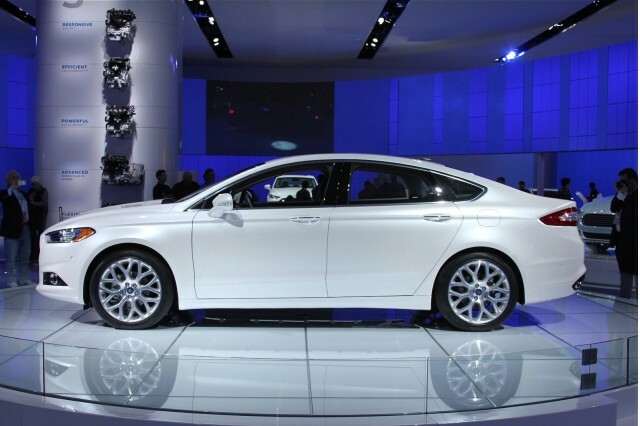 ), this is the car that sits inline with Ford CEO Alan Mulally’s “One Ford” policy. 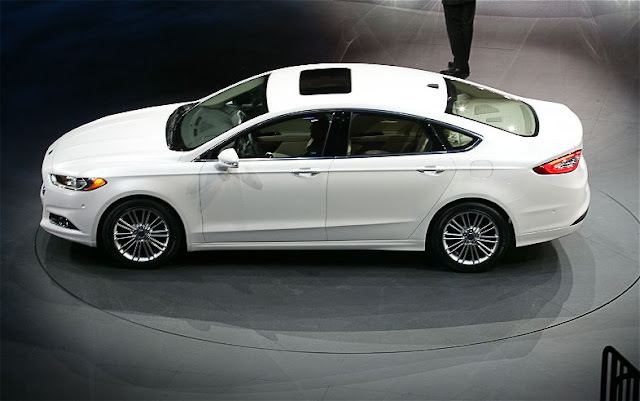 The new Fusion is built on a modified current Mondeo platform (eschewing the Mazda 6 platform currently underpinning the current Fusion in the USA), and both Fusion and the next Mondeo have been styled by a European team led by Englishman Chris Hamilton. Hamilton says the two cars will look different, with Mondeo having: “an even racier look, whilst Fusion is bred for global markets.” In Ford-speak, I reckon that means Australia. It will mean the end of an indigenous Falcon, but I predicted that a long time ago. Ford simply cannot make local manufacturing pay off in any form. I have also found it confusing that Ford Australia introduced Mondeo alongside Falcon when the two cars are essentially the same size, but the strategy will become clear soon. 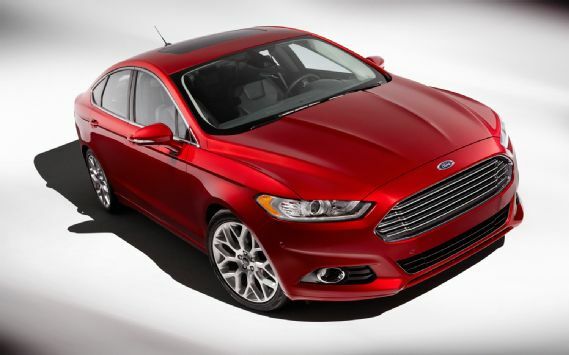 Mondeo will disappear from Australia, and we’ll get the Fusion, with Falcon badges. The design team are still completing work on a sedan version of the Fusion, which could debut in Australia first, as a Falcon! 170hp, 2.5 litre four cylinder with 6-speed auto. 237hp, 2.0 litre EcoBoost four cylinder with 6-speed auto. 185hp, 2.0 litre Atkinson-cycle four cylinder with Hybrid electric and CVT drive. Later, a plug-in Fusion Energi, with plug-in recharging. Ford says the plug-in model will give more than 100 MPGe (MPGe stands for Miles Per Gallon Equivalent), a metric allowing comparison between petrol and electric cars. Remember Ford Australia’s very competent in-line 6 will disappear soon anyway, and the engine in the EcoBoost Falcon will slide straight into a Fusion/Falcon. I'm sure that Australia's Ford dealers are hoping it will happen sooner rather than later, they need this car asap! Their current business model is not paying the bills.